Day 1- Arrival in Nairobi: Arrival at the Jomo Kenyatta International Airport where our safari manager will meet and assist you to your private vehicle. You will be transferred to your city hotel and assisted with check in formalities followed by pre-safari briefing. Rest of the day at leisure with dinner on own account.Overnight stay at the Sarova Stanley Hotel. Day 2- Nairobi / Samburu National Reserve: Early buffet breakfast at your hotel. Check out and transferred to Wilson airport for your scheduled flight to Samburu National Reserve departing at 0830 hrs/ 0915 hrs. Arrival at the local airstrip at around 0920 hrs / 1005 hrs where you will be met by guide with a customized 4 x 4 safari vehicle and transferred to your tented camp for check in with game drive en route. Lunch will be served from 1230 hrs. Enjoy an afternoon game drive as per your camp’s schedule on a shared basis. Return to your camp by 1800 hrs. Dinner and overnight at Elephant Bedroom Camp/ similar. Day 3 – Samburu National Reserve: Morning and afternoon game drives and activities as per the camp’s schedule. The location of this reserve that covers about 165 square kilometers is on the banks of river EwasoNgi’ro, which is the source of life for both human and wildlife in the dry and arid area. Everything is unique in this reserve, from the beautiful landscape, the rare bird and animal species unique to this reserve and the culture of the local Samburu people. You have a great chance of spotting not only all the Big 5, but also the special 5; Grevy’s Zebra, Beisa Oryx, Somali Ostrich, the long-necked Gerenuk gazelle and the reticulated Giraffe. It is also one of the best places to try your luck in spotting the endangered wild dogs that roam the savannas in packs. Mid-morning and early afternoon sent at leisure in the lodge, or enjoying a swim at the camp’s pool. (You may also visit an authentic Samburu Village for a cultural experience with this tribe who are a cousin to the famous Masai- at an extra cost). All meals and overnight at Elephant Bedroom Camp/similar. Day 4 – Samburu /Masai Mara National Reserve: Breakfast will be served at your camp from 0630 hrs. Check out and enjoy a game drive en route to the airstrip for your scheduled flight to Masai Mara departing at around 0930 hrs. 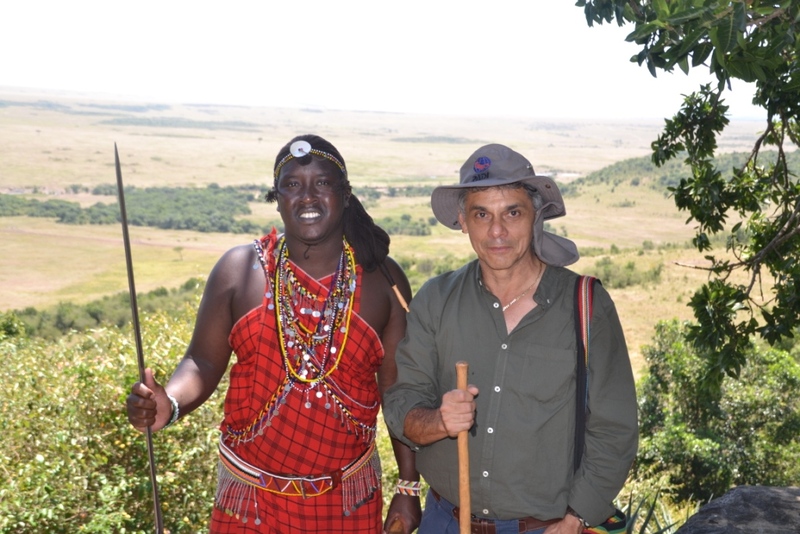 Arrival in Masai Mara at around 1120 hrs. Met at the airstrip by guide from the camp in a customized 4 x 4 safari vehicle and transferred for check in with game viewing en route. Lunch will be served from 1230 hrs. You will enjoy afternoon game viewing activities as per the camp’s schedule; begin your exploration of the vast Masai Mara National Reserve and its BIG GAME. Return to your camp by 1800 hrs. Dinner and overnight at Entim Mara Camp /similar. Day 5 – Masai Mara: You will have the full day to explore the Masai Mara savannah as per the lodge’s game viewing activities schedule. Your professional guide will be on the lookout for your sightings of interest or the spotting that you were not lucky to get to your bucket list the previous day. This reserve’s open savannahs abound with game density, prolific birdlife as well as the annual wildebeest migration involving millions of Wildebeests and Zebras which takes place every year between July andOctober. This reserve is home to the BIG 5, which are Lions, Leopards, Buffalos, Rhinos and Elephants amongst several other animal species. Birdlife is also prolific in the reserve with over 400 bird species having being recorded as residents of this reserve. Mid-morning and early afternoon will be at leisure in your lodge or enjoying a swim. This day, you can enjoy game viewing and scenery from a bird’s eye view on a Hot Air Balloon, and your guide may also organize for an optional visit to an authentic Masai Village, to sample the day to day life of this African tribe which has somehow managed to co-exist with wildlife for years. All meals and overnight at Entim Mara Camp /similar. Day 6 – Depart: Breakfast will be served from 0630 hrs. Check out and enjoy a game drive en route to the airstrip for your scheduled morning flight back to Nairobi. Arrive at Wilson Airport at around 1200 hrs, Met and proceed for Farewell lunch to be served at the Carnivore Restaurant /similar and we will then transfer you to the Jomo Kenyatta International Airport for your evening / night onward flight. End of the 5 Nights 6 Days Intrepid Safari. NB: Some game camps in the itineraries above have welcome cocktails, local beers, soft drinks, non-premium spirits, Mineral water, tea and coffee, bush picnics, sundowners, guided bush walks and laundry included in their packages. We have the details available on request. *Additional sightseeing or deviation from the itinerary, all items of personal nature such as tobacco; mosquito repellents, laundry, drinks/beverages; phone calls, etc., Tip for guides, porters, waiters, Medical/Travel Insurance, Festive season supplements, All International Flights, Kenya Entrance Visa (USD 50 per person), Any Other Items not in the inclusions list above.